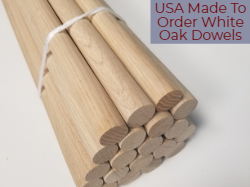 USA Made Hardwood Dowels in Maple, Oak, Walnut, Hickory, Poplar, Ash, Cherry& Mahogany are kiln dried, clear, smooth and accurately sized. 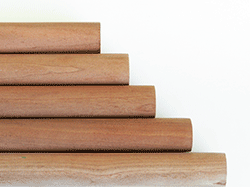 Click Here to Request a Quote by Wood Species, Lengths and Diameters. 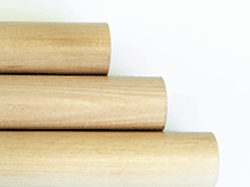 Minimum order (except Birch) is $150 for made to order dowels. 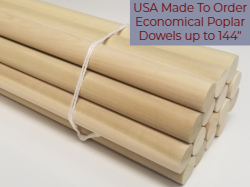 Hardwood Dowels (Besides Birch and Available Singles) are made to order at our mills in the USA. 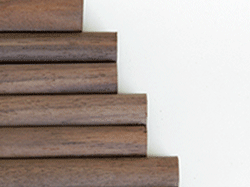 Quality, Kiln Dried and Straight, you can count on reliable and timely production. 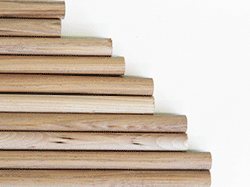 1) Browse by wood species below to see dowels by length and diameter, starting with 36" Lengths. 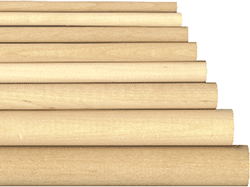 (Birch is available in 12" lengths). 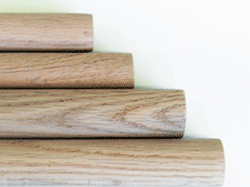 Mix and Match bundles by size or species and get the lower bundle prices. 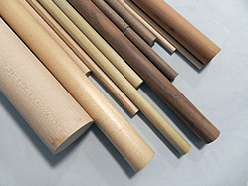 Click here to contact us for a specific quantity, length, diameter or wood species. 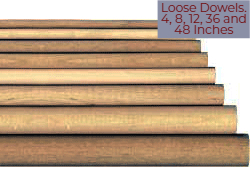 We can custom cut most doweling to any length up to 144" with diameters up to several inches. 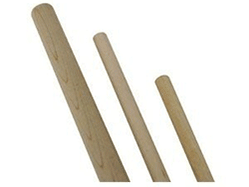 2) Poplar and some other hardwoods can be made into beyond 48 inch lengths - we can make dowels up to 144". 4) For special order terms and conditions, please check this page. Very Pleased -- 08/17/2016 Product is excellent, bone dry, milled perfectly. Production was swift, delivery on time. Had time constraints & advised this at time of order. 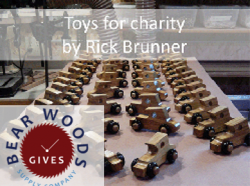 Communications with Bear Woods by email immediate & helpful. 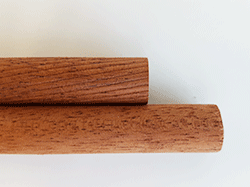 First time customer -- very pleased.-- By Bob F.
Many other wood species,lengths and diameters of hardwood dowels available. 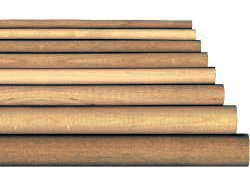 » Starting at 1/4", up to 1-1/4"